FYI, in 1976' the Vikings blocked 15 kicks or punts. And like that, Gurley has it. Per ESPN Stats & Info, Todd Gurley now has the most rushing yards by a runner in 1st 4 starts since merger. TJ Clemmings down on the field after that play. Trainers on the field to check on him. Has to be a concern for the Vikings. Walks off the field without assistance, but Clemmings is leaving the game for now. Austin Shepherd in at RT for Clemmings. 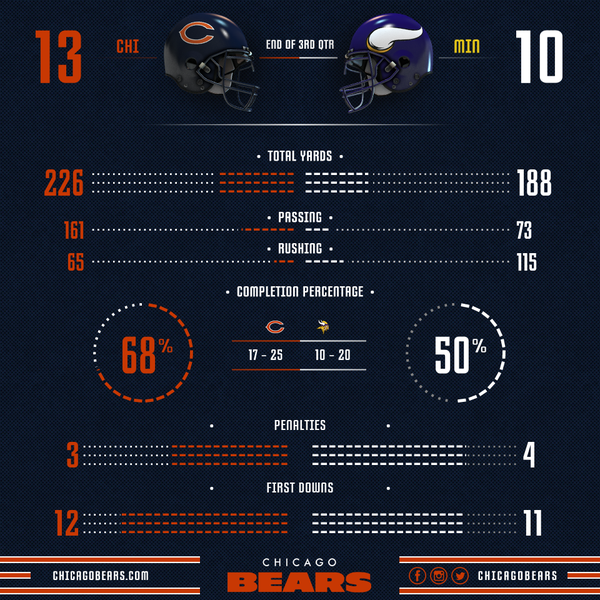 Why is Chris Myers trying to tell us the Vikings' inability to effectively pass the ball makes this a throwback game? After talking with trainers for a few minutes, Clemmings staying on the sideline. Sitting with his helmet. Shepherd remains in the game. T T.J. Clemmings is questionable to return with a stinger.
.@TAClemmings_90 is questionable to return (stinger). can he ever throw a TD?????????????????????????????? 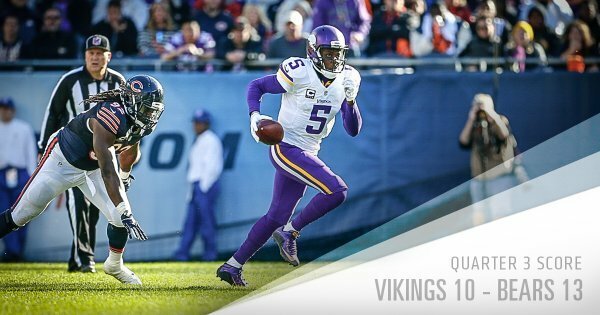 Vikings 48-yd FG knots the game at 13. TEDWARD throwin a HUGE CLUNKER!
. @BlairWalsh3 walsh makes his 2nd FG of the day and ties it up at 13 with 13:29 left in the game. 7-for-7 the last 2 weeks.
.@BlairWalsh3 makes his 2nd FG of the day and ties it up at 13 with 13:29 left in the game. 7-for-7 the last 2 weeks. Since the interception, Teddy Bridgewater is 4 of 9 for 40 yards, including a costly overthrow on a wide open Mike Wallace in end zone. Defense should show me something new, a turnover!